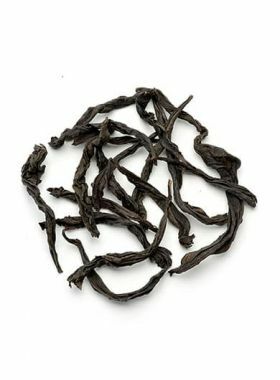 Perfect combination of baked taste and fruity fragrance makes this charming Monkey Picked Tie Guan Yin good for baked tea lover. 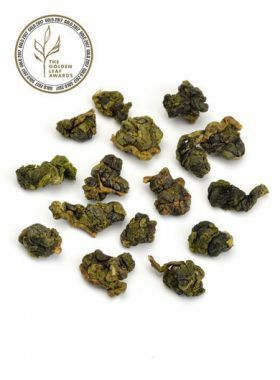 This monkey-picked Tie Guan Yin, carefully selected by TeaVivre, is baked slowly over a soft fire, with the baking process broken up into three steps each lasting two minutes. This tea has a fermentation degree of 100%, so that the dried leaves can keep a long-lasting fragrance. After brewing, the smell of honey-peach and the baked flavor come out and can be fully appreciated, and the liquid itself is deliciously smooth. Legend has it that the cliff where this tea grows is too steep for human farmers to pick the leaves. Therefore, monkeys are trained to climb the cliffs and help the farmers pick the leaves. Another saying goes that tea farmers need to tie a rope around their waist while they climb the cliff to pick the tea, just like monkeys. 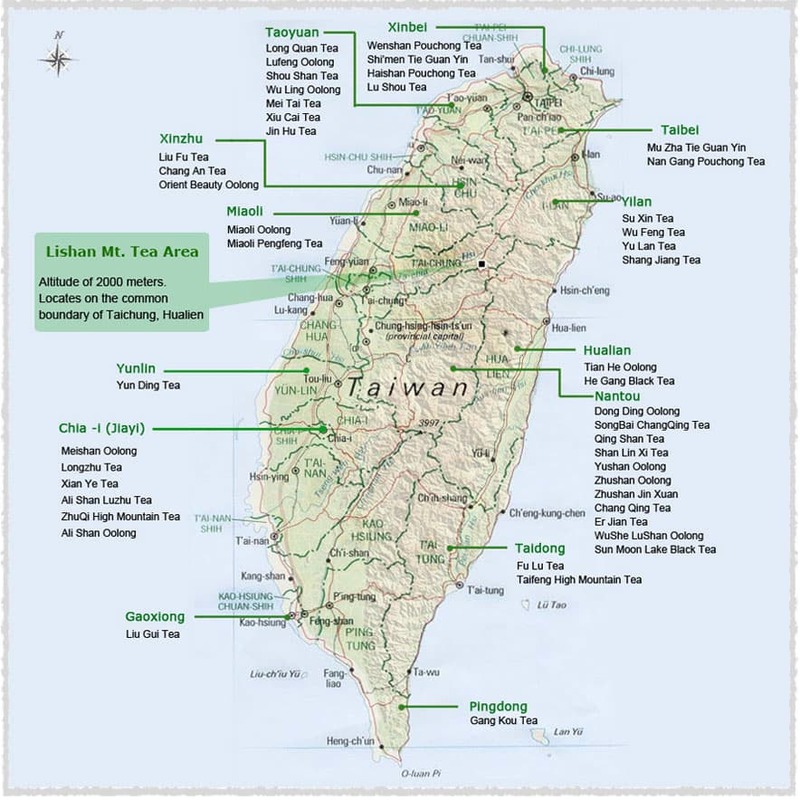 Qibang Tea Garden is located in Lishan at an altitude of 2000m, the highest tea production region in Taiwan. The growing environment here is pollution-free and clean, since the mountain is covered with natural, virgin forests. 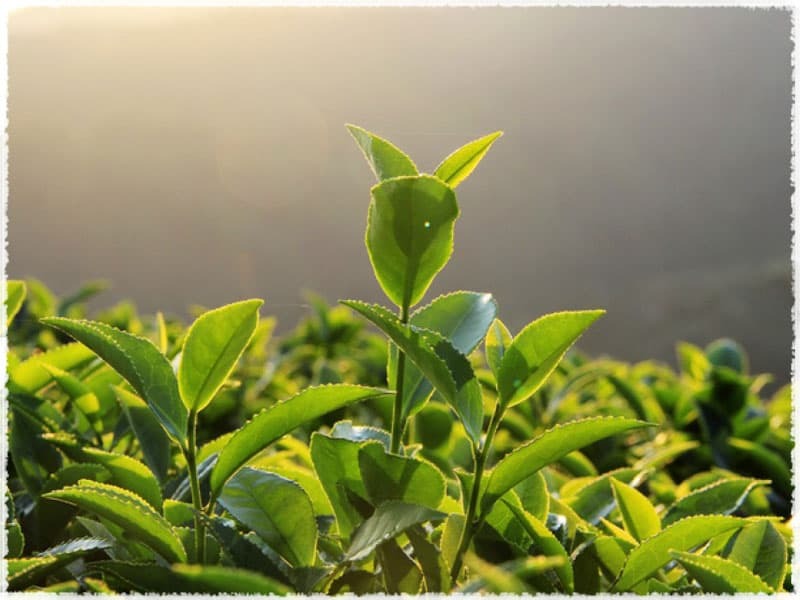 Because of the large difference in temperature from morning to evening, the short duration of sunlight, and the persistent clouds and mist throughout the year, the tea leaves from this garden are thick and smooth, high in quality for tea production. 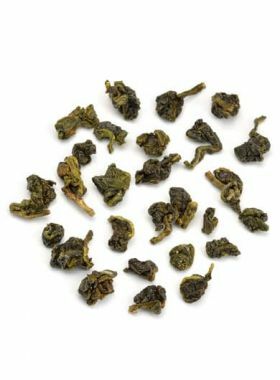 This carefully-selected Tie Guan Yin comes from Lishan, in Taizhong, Taiwan. The main production areas for tea here include Fushoushan Farm, Cuifeng, Cuilan, Wuling, and many others, all across 1200m to 2600m in altitude. 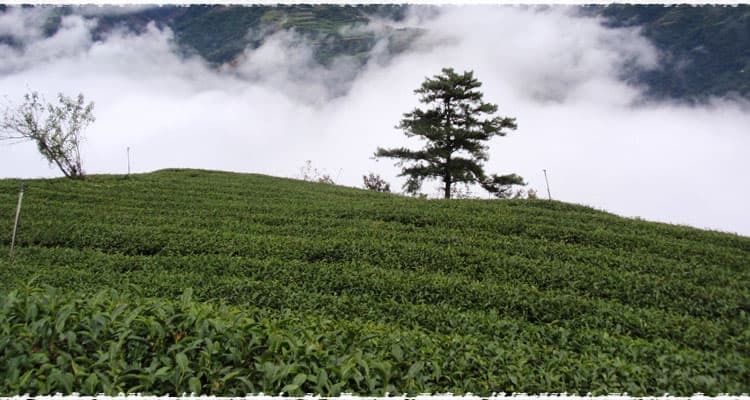 Lishan, with its beautiful mountainous scenery, is famous for its high-grade oolong tea. 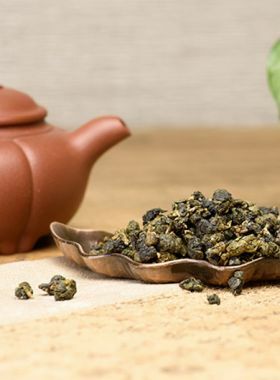 The Tie Guan Yin varietal of tea spreads through sexual propagation, growing as a shrub with a medium-sized oval-shaped leaf, deep emerald-green in color, thick but fragile, and with a slight curve along its length and a wavy edge. The central dent of the leaf is thin, and the buds are lovely purple-red in color; this tea has earned the phrase “delicious but difficult” to describe it, since only fertile soil, qualified tea shrubs, and appropriate planting and cultivation methods can produce the highest quality tea from these leaves and give a bountiful harvest. According to legend, there was a kind of wild tea tree growing between cliffs in ancient times, too far out of reach for farmers to pick in the conventional method. To combat this, the farmers started tying ropes around their waists so that they could climb the cliff to pick the leaves, just like monkeys. Another legend states that monkeys were used instead, to climb the cliffs and pick the leaves for the farmers. People named this tea as Ma Liu Mie, meaning it was picked by monkeys; Ma Liu is the name of the monkey used by people in Guangzhou, Guangxi, and Hainan, while Mie means “picking”. This name also marks this tea as very precious, and high-quality.